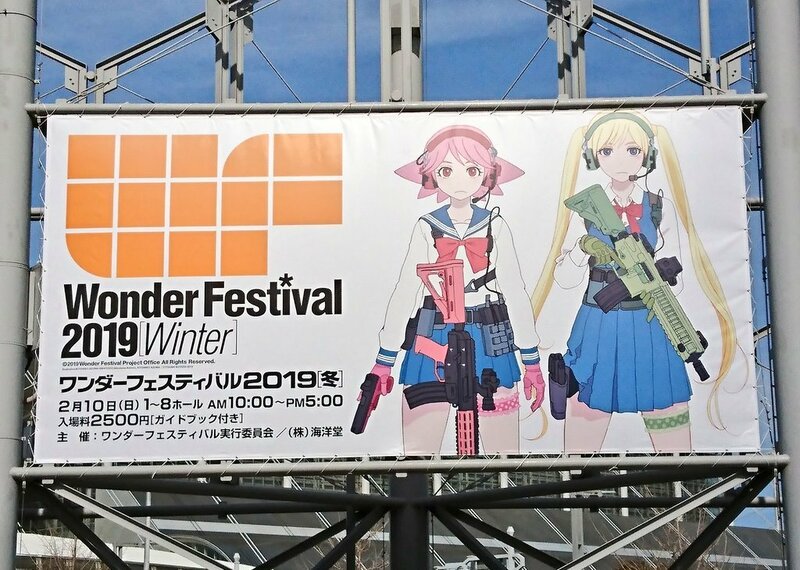 It’s once again that magical time of year, that’s right Goners, it’s time for Wonder Festival 2019. Wonder Festival, better known as Wonfes, is a semi annual trade show event held in Tokyo’s Chiba prefecture, where figures take the spotlight. It’s not just anime figures either, as one might expect from an event in Japan, it also includes characters from video games as well as movies. What’s amazing about Wonfes is that not only are the major players present (manufacturers like Kotobukiya, Prime 1 Studio, Good Smile Company), but also independent figure makers as well. These independent modelers can show off their work, called Garage Kits, alongside the big companies which gives the event a flavorful, dynamic range of talent. Wonfes also does an amazing job of showing off what’s currently popular in Japan’s otaku culture, the showcasing fan-favourite characters from the last year’s worth of anime. So far in 2019 the biggest presence is the hugely popular Fate/Grand Order, but that doesn’t mean series like Persona 5, and Girls’ Frontline are being left out in the cold, they too have a noticeable presence this year. With all that being said, here are some of my favourite figures that I’ve seen coming out of Wonfes 2019. If you want to check out more of the amazing figures on display at this winter’s Wonfes search #wf2019w or #ワンフェス2019冬 on twitter for all your pvc needs.